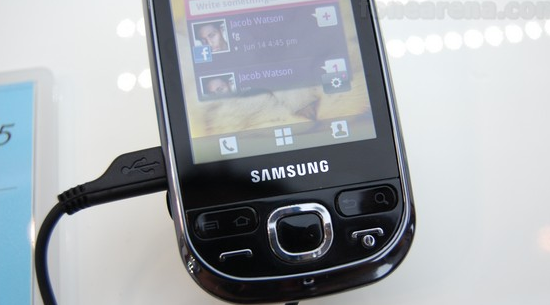 Samsung had one of the best mobiles in the Android variety, the Galaxy S mobile phone. But now, for being more flexible in the pricing and giving users an easier taste of the android operating system in mobiles and for those who can not afford a high-range phone, they have launched a couple phones in the galaxy series, which are priced at less than 50% of the price of Galaxy S. They are the Galaxy 3 and Galaxy 5 mobile phones. 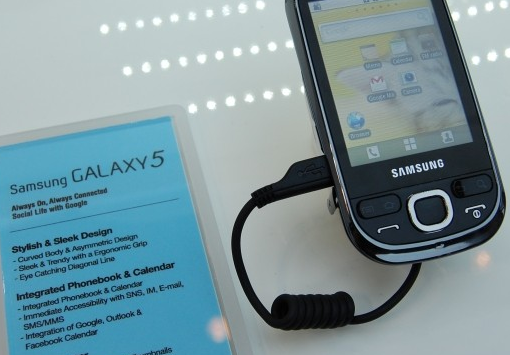 The Galaxy 3 (I5800) is going to cost around INR 11000-12000, and its going to be powered with Android 2.1, with a 3.2″ touchscreen, and would support the 2.5G and the 3G networks. With accordance to the price, the features would anyways be lesser than the Galaxy S.
The camera is of 3.0 megapixel, with autofocus, and quite few image capture options. The phone has got the integrated social hub for messaging, and all the Google mobile services, the android marketplace, GPS, accelerometer, touch wiz 3.0 interface make it a good smartphone to use with the open source platform. Just like any other smartphone, it supports many formats of video and audio, and the Bluetooth v3 helps in faster file transfers. The internal memory is 170 MB, and the expandable memory is upto 32 GB. The Galaxy 5 (I5800) would be costing around INR 9000 and it has got most of the features similar to the Galaxy 3, except the size of the screen, which is 2.8″ and the camera has become more basic with 2-megapixel and no more features that support better image capturing. Bluetooth technology is v2.1 and the expandable memory would be the maximum of 16GB. amount is the samsung Galaxy 3 and Galaxy 5, pls send the price and is its using one sim. Can the android 2.1 on both galaxy 3 and 5 be upgraded to 2.2?? how?? Has Samsung released the Froyo update for the Galaxy 3 phone? It’s a good younger sibling to the Galaxy S. And with the support for 3G, and having a 3-megapixel camera the device looks pretty good. wch 1 is the BEST??? Galaxcy 3 or Galaxcy 5?? ?